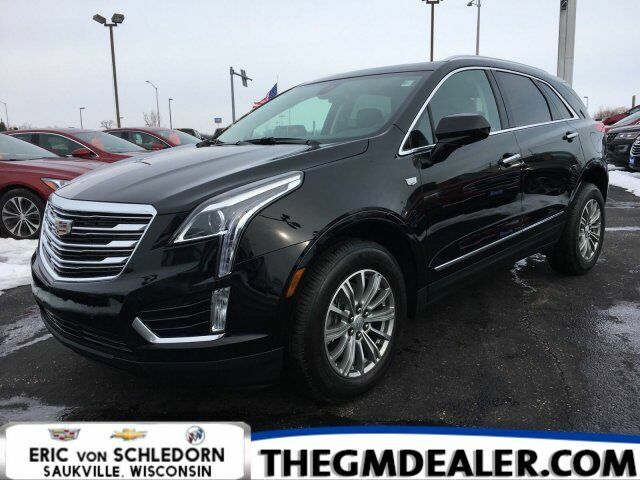 This is the new 2019 Cadillac XT5 Luxury AWD with the following: Cadillac User Experience with navigation and Apple CarPlay/Android Auto (with 14 Bose speaker surround sound), 3.6L V-6 gas engine with auto stop/start, 8 speed automatic transmission, interior protection package, trailering equipment, odor and particulate cabin filter, and the 4G LTE Wi-Fi hotspot. The color combination is Stellar Black Metallic with the jet black interior. This vehicle comes with one scheduled service visit from Cadillac. Ask sales for details!